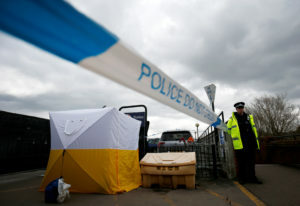 LONDON — Russia on Tuesday dismissed accusations of any involvement in the poisoning of an ex-spy and his daughter as “nonsense,” saying it will only cooperate with a British investigation if it receives samples of the nerve agent believed to have been used. British Prime Minister Theresa May has said Russia’s involvement is “highly likely,” and she gave the country a deadline of midnight Tuesday to explain its actions in the case. She is reviewing a range of economic and diplomatic measures in retaliation for the assault with what she identified as the military-grade nerve agent Novichok. “It sounds to me that they believe it was Russia and I would certainly take that finding as fact,” said U.S. President Donald Trump. He said Washington will condemn Moscow if it agrees with Britain’s findings, adding that he would discuss the incident with May. Russian Foreign Minister Sergey Lavrov insisted that Russia is “not to blame” for the poisoning. James Nixey, head of the Russia program at the Chatham House think-tank, said Britain must offer more than a symbolic response. It was not immediately clear if Lavrov’s comments constituted Russia’s official response to May’s ultimatum. Meanwhile the cases of other Russians who have died under mysterious circumstances are being raised. 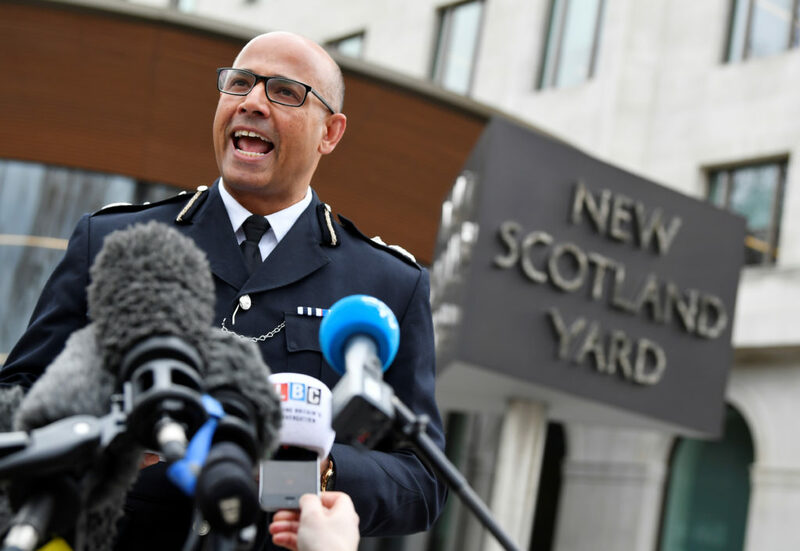 British Home Secretary Amber Rudd said police and the domestic security service will look into 14 deaths in Britain that might be linked to Russia. BuzzFeed News reported in 2017 that 14 deaths in Britain and the U.S. dating to 2006 may have been linked to Russia. Among them are prominent critics of Russian President Vladimir Putin, including oligarch Boris Berezovsky and whistleblower Alexander Perepilichny. Russian officials and media have responded with a variety of accusations against Britain in recent days, including suggestions that it was seeking to influence Sunday’s presidential election, which Putin is expected to win easily. British Foreign Secretary Boris Johnson said Britain was talking to its international partners about the situation. “I’ve been encouraged by the willingness of our friends to show support and solidarity,” he said, specifically citing U.S. Secretary of State Rex Tillerson, who was ousted on Tuesday, and others. Tillerson told reporters late Monday that Russia’s actions would “certainly trigger a response.” He said it was “almost beyond comprehension” that a government would use such a dangerous substance in a public place. In a speech Tuesday to the Executive Council of the Organization for the Prohibition of Chemical Weapons, Director-General Ahmet Uzumcu said Johnson called him Monday evening to inform him of the results of investigations. Police are appealing to the public to come forward if they saw Skripal and his daughter driving in his red BMW in the early afternoon of March 4 in the city, located 90 miles (145 kilometers) southwest of London. Vasilyeva reported from Moscow. Mike Corder in The Hague, Netherlands, also contributed.